Americans who have poor credit have long felt shut out of the house buying market, but new bad credit home loan programs may offer opportunities that were previously unavailable. After the financial crash of 2008 and 2009, many subprime mortgage programs have disappeared. With 2018 already passing us by, we can see that housing and financial markets have expanded home loans for people with bad credit, fair credit, even limited credit. 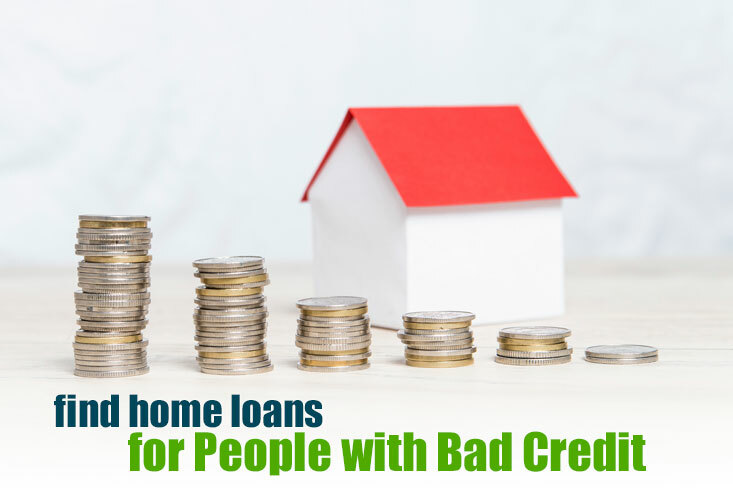 More and more consumers have been asking about the newly added bad-credit home loan products that are available for people with lower fico scores or blemishes displayed on their credit report. With millions of Americans hindered by low score, the demand for poor credit home loans has never been greater. Turn on the the television or turn up the radio and you’ll likely hear an advertisement offering attractive home loans for people with low credit scores. In last 9 months, we have seen a dramatic increase in home financing for people with below-average credit scores. If you did not have a credit score in at least the high 600’s, you often were out of luck. Or, if you could get a loan, the interest rate and down payment required were much higher. Back in 2005, one out of seven subprime-mortgage loans that were approved had borrowers with credit below 630; this was just one out of 500 borrowers in 2013. In 2018, we continue to read lending reports revealing that the approval rate on applications for home loans with poor credit is increasing dramatically. This is a great year for people with poor credit securing a home loan at an affordable interest rate and terms. Your best option for getting a bad credit home loan is the Federal Housing Administration. This is one of the original, government backed mortgages that has been helping home-buyers for more than 70 years. FHA programs are offered by traditional mortgage lenders, but they are secured by FHA, meaning that if you do not pay your mortgage, the FHA will reimburse the lender. This additional security encourages more lenders to loan to people with average or poor credit. In many cases, to qualify for poor credit home loans backed by the FHA, you need to have a 580 or better credit score, but the exact credit requirements will vary by lender. Also, you can qualify for FHA financing in many cases with just a 3.5% down payment. Credit and income standards are quite forgiving on these poor credit home loans given that they are backed by the FHA. Remember you will need to pay both an upfront and annual mortgage insurance premium. While mortgage insurance on bad credit home loans with FHA has getting more expensive, a poor credit borrower really cannot do much better than an FHA insured home loan for bad credit. One of the easiest ways that people today can buy a house even with bad credit is to get an home loan insured by the FHA. You would be surprised just how easy it can be to get one of these government-backed loans. The FHA mortgage is guaranteed by Federal Housing Administration so that if you do not pay the loan, the lender is paid back most of what it is owed. It is the guarantee that is what makes it so much easier today for a bad credit borrower to get a home loan. During and directly after the mortgage crash, most lenders including FHA approved ones tightened their lending standards. It was hard to get home loans for poor credit. But now things have evolved and loosened up. Today, one can get an FHA loan with 3.5% down with a FICO score of 580. That is a pretty poor credit score, but with sufficient income, it is indeed possible. It is theoretically possible to get an FHA loan with only a 500-credit score. There are people with a recent bankruptcy who do not have a credit score that bad! Of course, it will be easier to get a loan if you have a credit score over 600. Anyone with at least a 620-credit score should have a fairly easy time being approved if they have enough income. Several years ago, it would have been hard to qualify for a home loan with FHA if you had a recent bankruptcy, but now, it is easier than ever. Because of the lender guarantee, you also will be able to get a very low interest rate, believe it or not, even if you have low credit scores. With all the expanded programs being announced this year, it makes a lot of sense to research bad-credit mortgage lenders because you may find a good fit. If you have poor credit and are looking to live in a rural area, a USDA loan could be just what you need. The USDA offers zero-down mortgage loans to people with low and moderate incomes in rural areas. The loans can also be for some suburban homes as well, depending upon the location. The loan can include closing costs and the interest rates are very competitive. As with FHA mortgages, the credit and income criteria are quite flexible. The loan funds also can be used in part to do repairs on the property. Another excellent option for the bad credit borrower today is the USDA loan. This program is designed for people with bad credit and lower income who are buying in a more rural area. The criteria to be approved are extremely flexible and the program is backed by the USDA. If you do not pay the loan, the lender is reimbursed. So, you can get a loan with a very reasonable interest rate. For military veterans or active military, you cannot beat the VA loan program. It is similar to the FHA insured financing in that it is secured and backed by the Department of Veterans Affairs. It has been designed to encourage lenders to give loans to members of the military, who often have a low or moderate income. VA offers some of the best home loans for bad credit because there is no minimum credit score requirement and these loans are 100% guaranteed by the VA. The loan does not require a down payment, as long as the property appraises for the amount you are borrowing. Did you know that VA home loans with bad credit do not have any mortgage insurance? This is a fantastic deal for military vets with poor credit. VA mortgages are issued to people with who have military experience or are active duty military. This program is very easy to qualify for, with very flexible credit and debt to income criteria. This is one of the few programs still available where you can get 100% financing as well. If you have military experience, you would be very wise to see if you qualify for a VA loan. Find out what the 2018 VA loan requirements are as soon as possible. The Dodd-Frank laws changed many of the rules for banks, credit unions and mortgage lenders. However, many private money and non-prime lenders created new mortgage options for people with poor credit. The non-qualified loan programs opened the door back up for borrowers that had difficulty documenting their income. The non qm loans were not the same as the previous versions of stated-income loans, but they helped a lot more self-employed consumers find a solution to buy or refinance a home. Both Fannie Mae and Freddie Mac have software programs that they use that will automatically approve many loans based upon credit score, total debts, and income. This is referred to as automated underwriting. If you presently have poor credit scores, you may not be a candidate for automatic underwriting. But the lender still may be able to approve you via manual underwriting. It makes sense to get a pre-approval in writing before making any commitments. Learn how to get a pre-approval for a FHA mortgage today. Some mortgage companies will still allow the loan application to be approved if you have a low credit score. But you may need to have something else to compensate for it. For example, if you have a 590 credit score, you may have trouble being approved for many poor credit home loans. But if you can put more money down or have several months of cash reserves, you may be able to get approved. Or, if you can prove that you paid your rent on time for the last 12 months, you may be able to get the green light. Learn more about the minimum credit scores for a mortgage this year in our recently published guide. Pay all of your bills and credit card payments on time for at least a year before you apply for a mortgage. Recent payment history is more important for mortgage approval than a spotty payment record three years ago. Pay your rent on time for at least a year before you apply for a mortgage. Showing that you are paying your housing payment on time is a major plus. Save up to put more money down. If you can put down 20%, you will be able to convince many mortgage companies that you are a good risk. If you have to get a higher interest, bad credit home loan, keep your nose clean for two years and pay everything on time. After that, you may be able to refinance into a low interest conventional loan. 2nd mortgage programs may be available for people with a checkered past being reported on their credit report, but more equity will likely be required. Ask about home equity loans bad credit to see if your lender or broker has access to this kind of alternative program. Today there are more options than ever for people who have poor credit and want a home loan. 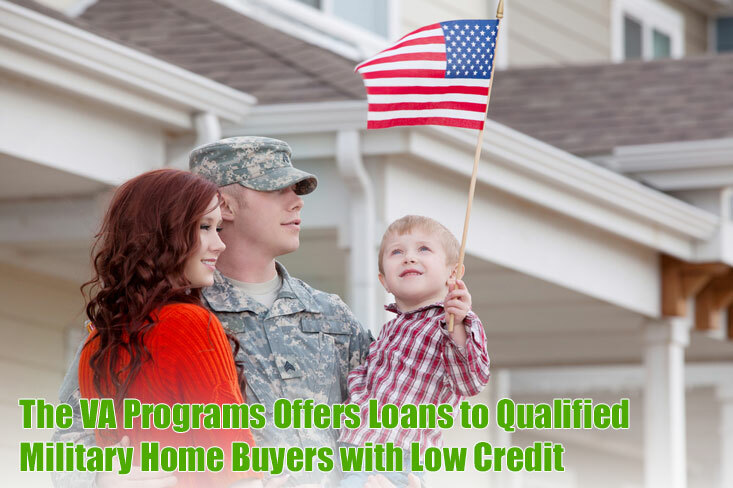 For the vast majority of borrowers with low fico scores, bad credit home loans insured by the FHA is your best bet, unless you are a military veteran; in that case, go for a VA loan. If you apply at several approved FHA lending sources you may not be approved at every one. Experts advise you to keep shopping until you find a lender who will work with you. A decade ago, getting approved for a bad credit home loan was pretty simple. Lenders were much laxer in verifying income and checking that debt to income ratios were not too high. These loans were often called subprime loans. Today, brokers and lenders will often refer to these as, a non-qualified mortgage, AKA, Non QM loan. They also did not care as much if you had bad credit. There even were no income verification loans, also referred to as no doc loans. These easy to obtain mortgage loans meant that many people who could not really afford a home bought one. This led in part to the mortgage crash when millions of people could no longer afford their homes. Subprime or bad credit loans usually have rates above that of prime loans, although there are exceptions we will discuss below. Lenders usually have to increase the interest rate on the loan based upon the risk. If you are a first time home buyer with bad credit you need to be prepared and organized so you can fully understand your financing options. Some bad credit loans may feature a balloon payment, pre-payment penalty or even have penalties for both. The pre-payment penalty is a fee that you pay if you pay off the loan before the end of the loan term. This early payoff off might occur if you sell the property or refinance. A mortgage with a balloon payment means that the borrower must pay off the balance in one large sum after a certain time period passes. That time period normally is five years. 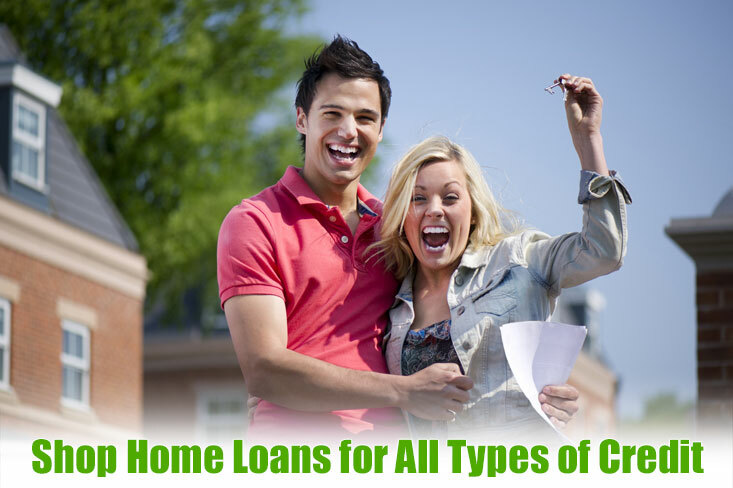 Today, getting a bad credit home loan is harder, but it is easier than many thinks. The bad credit home loan programs available have evolved somewhat. Keep reading to discover what you need to do today to get a home loan with bad credit. In the aftermath of the mortgage crash, many bad credit loans disappeared. But today, more and more lenders offer borrowers second chance opportunities in the form of house loans with bad credit. And many of the above features of bad credit loans are no longer in play, in some cases. Bad-credit house loans have changed a lot over the last 20 years. There was a time when almost anyone could get a home loan without producing proof of income. Those days are over. However, after the crash, it was very hard for people without good credit to get any type of home loan. Those days also are over. Now, you may get a poor credit home loan with 600 or lower credit. If you can show you are on firm financial ground and have the income to pay the mortgage, having bad credit is no longer an obstacle. How to Get Approved for a Home Loan with Poor Credit, Late Payments, Etc. Being afraid of a home loan denial has led to many renters with bad credit to not even bother applying for a mortgage. It is the case that getting a mortgage in 2017 is more difficult than 2005. But it is often a mistake to think that people with poor credit cannot get a home loan. Today, many lenders simply need to verify your income on paper to ensure that you have the financial ability to pay the loan. What caused the last market crash was less ‘bad credit,’ and more about lenders approving people for loans without verifying carefully their ability to pay. That all has changed in the last 10 years. Banks today will verify (they have to, it’s the law) that you can pay the loan by verifying your debt, income and your credit score. You can often get approved for a mortgage at a reasonable interest rate even with a bad credit score, IF you have the income and acceptable debt to income ratio. If you have poor credit and having been wondering if you can get a home of your own, read this article and then talk to your mortgage lender to see what is possible. Your credit score is one part of the mortgage qualification process, but it not everything. After the market crash, it was tough sledding for a while to get a home loan with under a 700 credit score, but things are very different now. As of 2014, 33% of loans that were closed that year were for borrowers with a sub-700 credit score. We are hearing that the number of approved home loan applications for people with bad credit are rising rapidly in 2018. Many potential buyers with bad credit do not realize how easy it is to get approved for some home loans, such as those backed by the Federal Housing Administration or FHA. 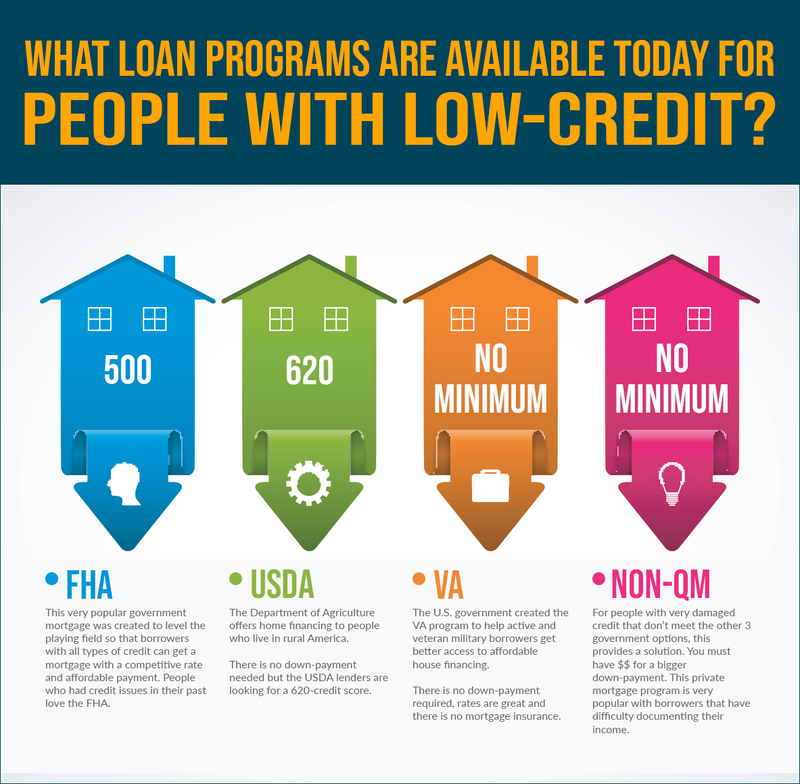 FHA-insured mortgages are offered by some HUD-approved lenders who will accept fairly low credit scores. Some approved government lenders will provide you with a home loan even if you have a credit score as low as 500. More lenders will give you a loan if you have a credit score of 580 or higher. Let’s be frank – a 580 credit score is fairly bad. But still, FHA loans for poor credit can be approved at this level if you have an acceptable income and debt to income ratio. FHA home loans for bad credit also are available with only a 3.5% down payment even if you have a score as low as 580. That’s a great deal. Can I Really Get Approved for a VA Home Loan with Low Credit Scores? If you have been in the military or are currently serving, one of the best options for getting a home loan is a VA loan. These loans feature have no down payments and you do not have to pay mortgage insurance. But what about credit score? How high does your FICO score need to be to qualify? Well, the good news is the VA does not feature a minimum credit score requirement. Each lender that is in the VA approved lender network sets its own guidelines on credit score requirements. Depending upon the lender you choose, you may need a higher or lower credit score than others. If your bad credit is due to unusual circumstances, such as a bankruptcy or foreclosure a few years ago, and have since been paying bills on time, you could still be considered for a home loan if you give a reasonable explanation. It is up to the lender’s discretion whether or not you will get the loan. Generally speaking, it is possible to get approved for a VA loan with a very low credit score. There are lenders that will work with a borrower with a credit score in the low 600s and even high 500s. It is true that you will increase your odds of approval if you have a higher score; more lenders are willing to work with you if you have a score of 620 or higher. But it is possible to become a home owner with a VA home loan with a poor credit score. Most mortgage lenders will run all loan applications through automatic underwriting programs from Fannie Mae, Freddie Mac and FHA. The applications that are accepted have to meet the qualifications of their investors. This can vary widely depending upon the lender. In some cases, the loan application may not get approved automatically. But many lenders have the flexibility to look at the application to determine if the loan can be approved manually. Some investors with some lenders will allow a loan to be approved with a very low credit score if you have other positives with your application. For example, you might need to have several months of cash reserves, a low debt to income ratio, and no late rent payments for the last year. Show financial stability for the last 12 months. Lenders care less about credit score with FHA and some Fannie and Freddie loans than they do about financial stability. They do not want to see a lot of late payments on your credit report in the last 12-24 months. If you had a job loss three years ago and your credit score tanked, that is not a fatal blow. Show a reasonably low debt to income ratio. Lenders want to see that you have a financial cushion. Lenders know that home ownership comes with additional costs above and beyond the mortgage payment. You should not be throwing your last dime into your monthly mortgage payment as these situations often lead to foreclosure eventually. Don’t have any recent loan defaults. Having a car loan that defaulted recently on your credit is bad news. This is much worse than having something like a late school loan payment six months ago. Have more down payment. If your score is below 640 or so, it will help if you are able to put more money down. Have steady work. The lender will verify that you have been working the same job or at least the same industry for the last two years. Remember that getting a mortgage today is much easier than a few years ago, especially with FHA bad credit home loans. If you can demonstrate a solid income and being reasonably stable financially for the last 12-24 months, a 600-credit score won’t necessarily sink your application.